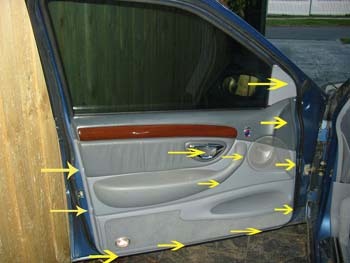 This document describes how to make your door handles light up. 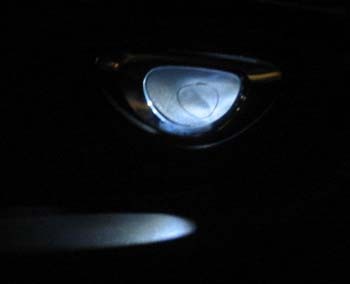 Simply all that is done is that you are running a led from your courtesy lamp wiring to the back of your door handle adding a touch of style and class to your vehicle. 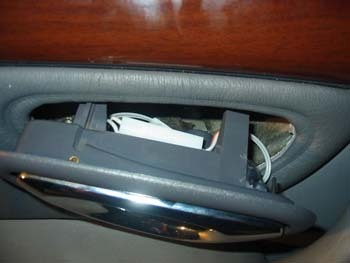 Backlit handles are fitted to many European vehicles and most operate of the courtesy lamp wiring. 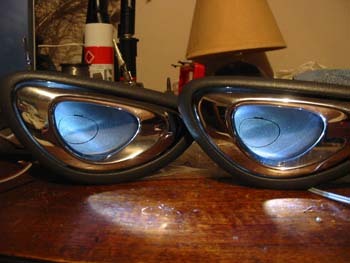 Courtesy lamps are standard in Ltd's, Fairlanes, Fairmont Ghia's and Fairmont's. 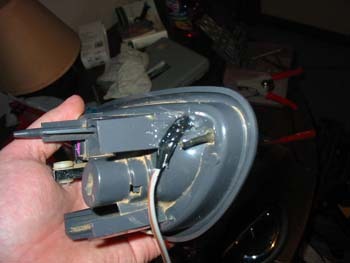 Alternatively if you have a model without courtesy lamps you can run wiring down from your roof lamp or from foot well lamps if applicable - However this document only has a guide for models with courtesy lamps fitted in the EF/EL NF/NL DF/DL series, However this should be able to be done on previous models quite easily also. With the LED's I used the 8000mcd White LED's - Z3982 from your local DSE ($9.95 each however get them to price match Jaycar at $3.95). Alternatively you can use any high intensity Led you like wether it be UV, Red, Blue, Yellow or green. Speak to your local electronics supply agent for there range. With the resistor the value you use will depend on how bright you would like the light- I wanted maximum light and the led I purchased operates at 4v 25ma. 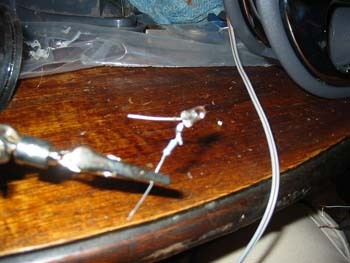 To work out the resistance I used Ohm's law R= V/A. Which works out to R = 13.8v (car voltage) - 4v (led voltage) / .025A = 392?. 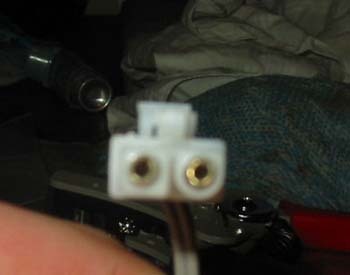 This is the minimum resistance you can use before you will damage the LED, there is a 390ohm resistor available however I went the safer option and used the 430ohm. 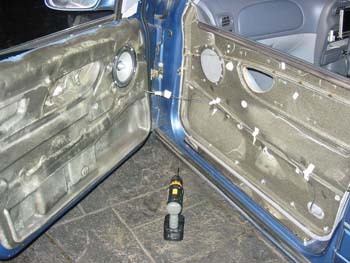 Removing the door trim is fairly simple this consists of removing 10 screws from your rear trim and 11 from your front trim. Once all the screws have been removed the trim is now almost ready to come off. Wind the window down on the trim you are working on - once it is down pull the trip upwards and it should now be off the door. 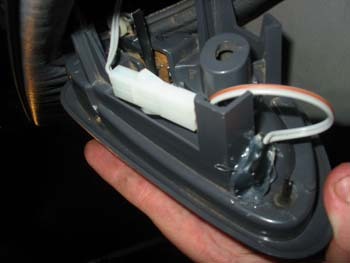 You will then need to disconnect the wiring loom for the courtesy lamps (if fitted), power windows (if fitted) and the mirror control (front drivers trim only) the trim is now free and ready to work on! You now are ready to glue the LED into place! I powered up the led with a 12v battery while putting it into the handle to position so I could get the right effect in the handle. 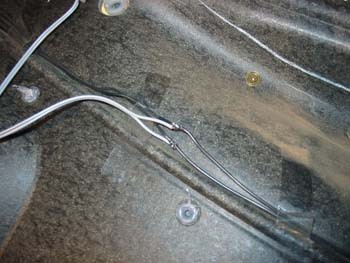 Hooking the side of the cable with the stripe to the +ve and the non striped side to the -ve powers up the led. 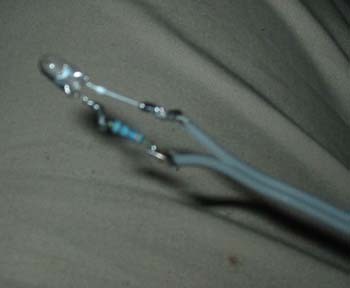 Insert it while it's alight to the handle and position it to get the desired effect in your handle. 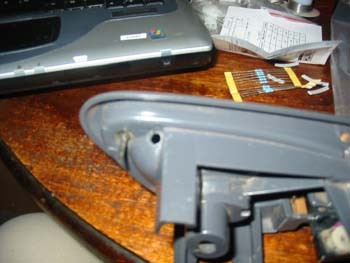 Once the handle is dry bend the legs of the led down along the side of the handle. 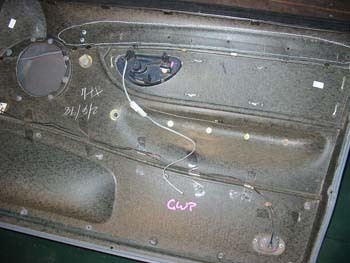 You are now ready to fit the handle to your door trim! 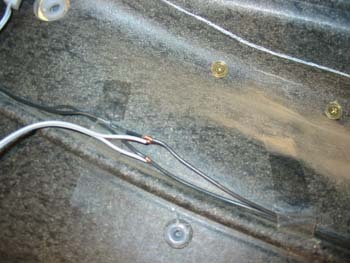 Take the trim and handle out to the car and connect it to the courtesy lamp wiring - If the led lights up you are now ready to solder the wire to the courtesy lamp, if not switch the two wires to get the led to light up. 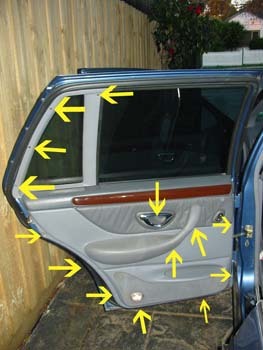 Place the trim on to the door and push down on the trim where the window slides up to click it into place. 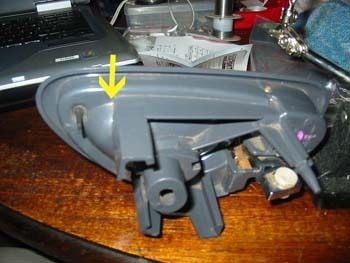 Place a couple of the screws in the trim to hold it in place. You have now successfully created a backlit door handle!! 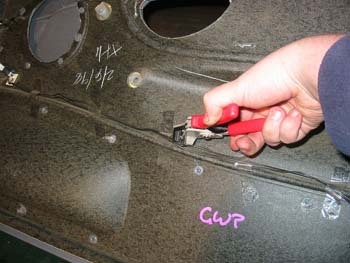 Repeat the process for the remaining door trims and admire your work! Document written by: Nicko on 08 2005>, Copyright © 2005 Nicko, all rights reserved.